Holidays in Bardolino ↔ Discover Lake Garda! This popular resort is known to foodies for its red wine and premium top-quality olive oil. The town of Bardolino is famous for its extremely popular red wine. 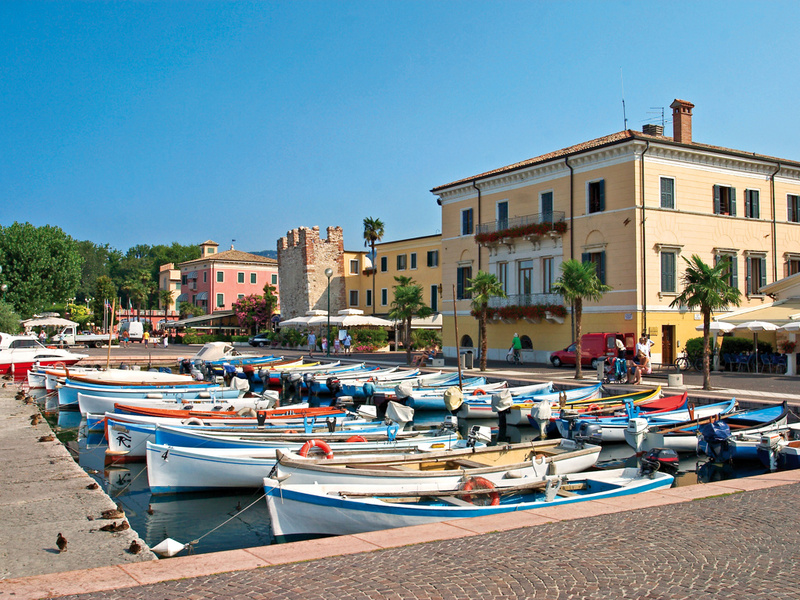 Mouthwatering and harmonious, Bardolino wine can be tasted and bought here almost everywhere. In ancient times, it is thought that the countryside on the southeastern shore of Lake Garda was already inhabited and cultivated. 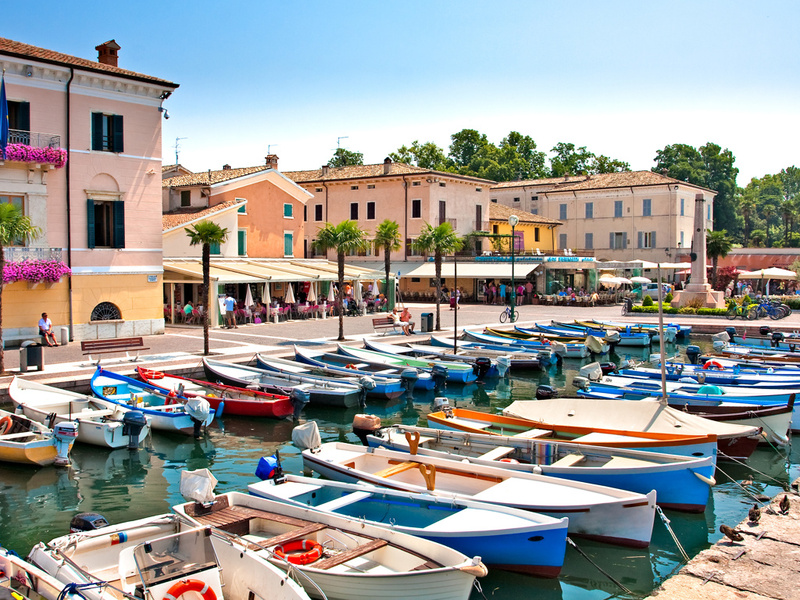 The Romans are said to have been the ones who named the village (and the wine) after one of their princesses. 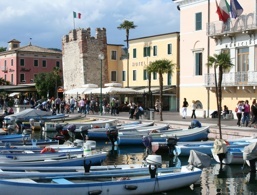 Today Bardolino has a population of between six and seven thousand. 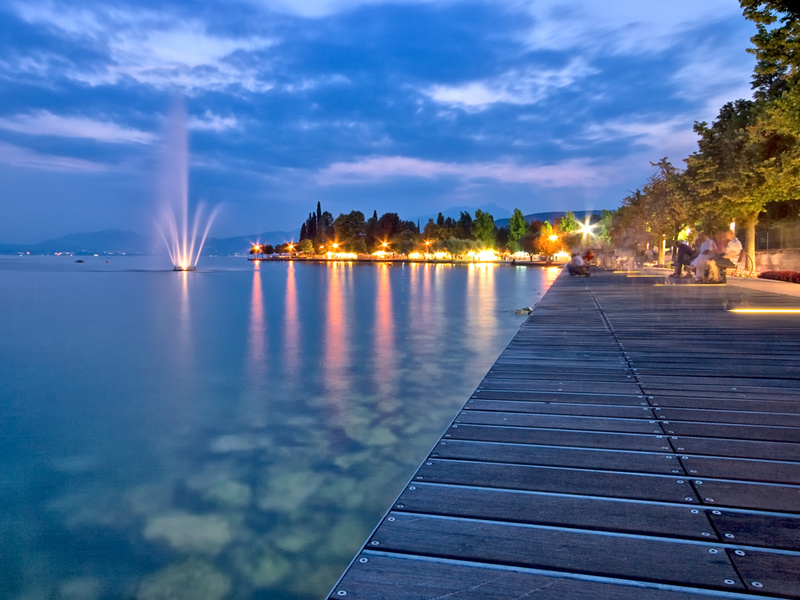 In addition to the status of a renowned wine-growing region, it also has a reputation as a sought-after resort. Its centre extends between the two headlands Punta Cornicello and Punta Mirabello. 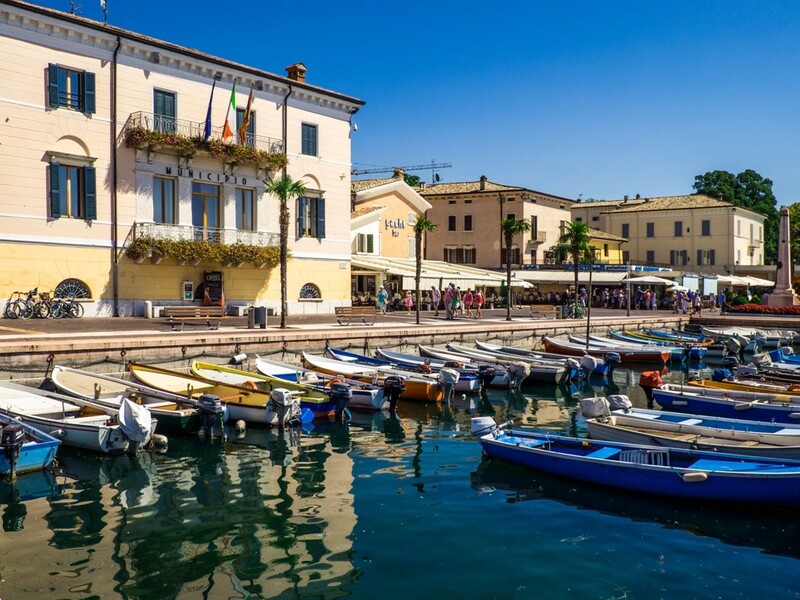 Bardolino’s popularity can be attributed to the numerous good hotels in all price ranges, a beautiful old town, broad shopping streets and an attractive promenade. 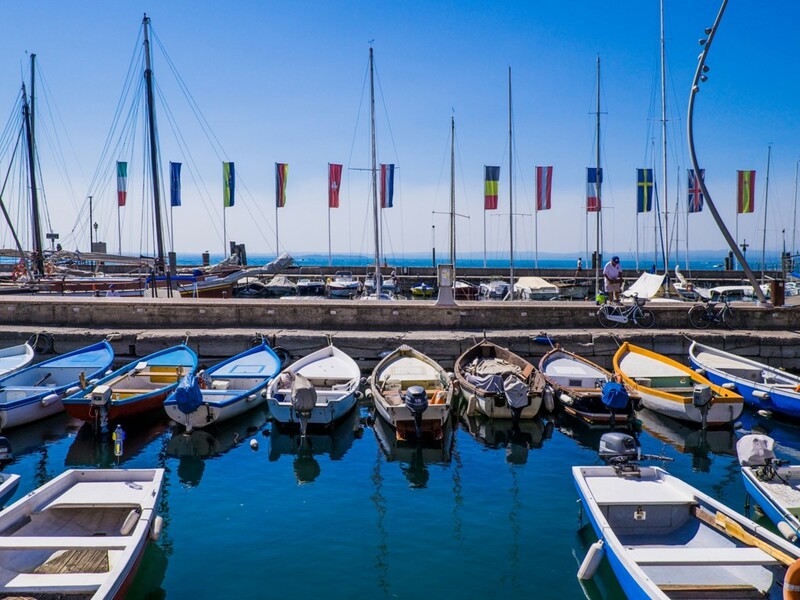 There are also pretty bathing beaches - for example, north of the Punta Cornicello, where inviting lawns and shady trees reach to the lake‘s shore. 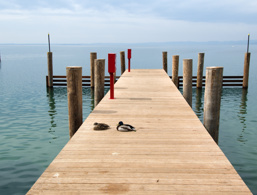 Suitable for swimming and sun-soaking is also the Lido Mirabello on the southern peninsula. The famous grape cure tourists come here to use the beneficial power of the local grapes. In autumn, when the fruits are freshly harvested, it’s said they promote digestion, stimulate the metabolism and can provide relief for all sorts of conditions such as osteoarthritis, gout or rheumatism. 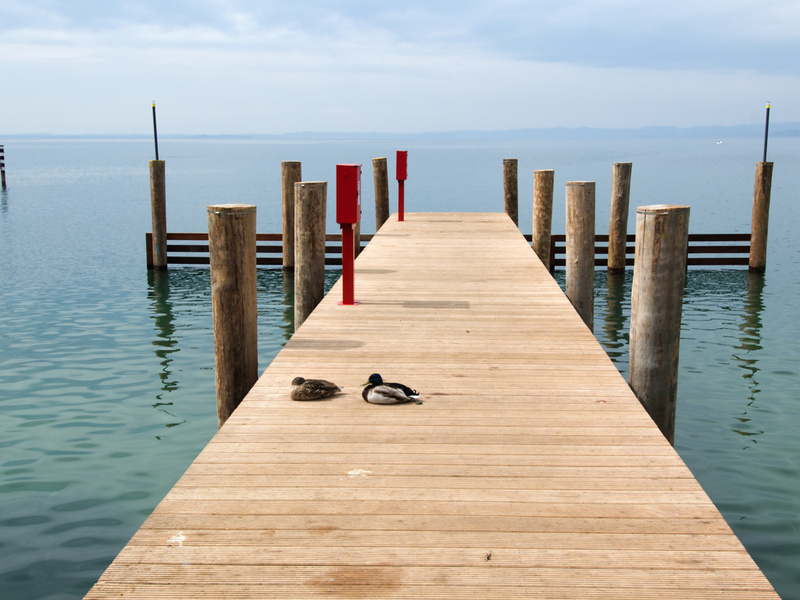 The webcam is located at the Color Hotel style & design in Bardolino, at the eastern shore of Lake Garda. 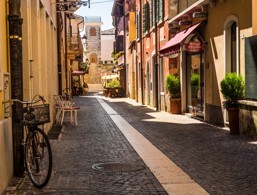 The Via Pieve is a typical romantic alleyway in the city centre of Bardolino. Directy at the lakeside, there is the town hall with rests of ancient urban fortifications. The Piazza San Nicolò and the San Severo church are also worth a visit in Bardolino. 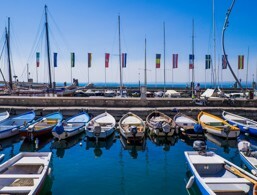 The anchored boats in the harbour are among the most loved photo subjects at Lake Garda. 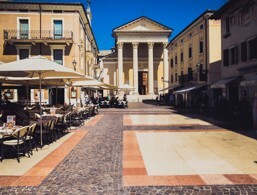 Piazza Matteotti is actually more promenade than square. It wraps around the centre of the old town and is the place to be on balmy summer evenings. Here you can enjoy good coffee, ice cream or shopping. 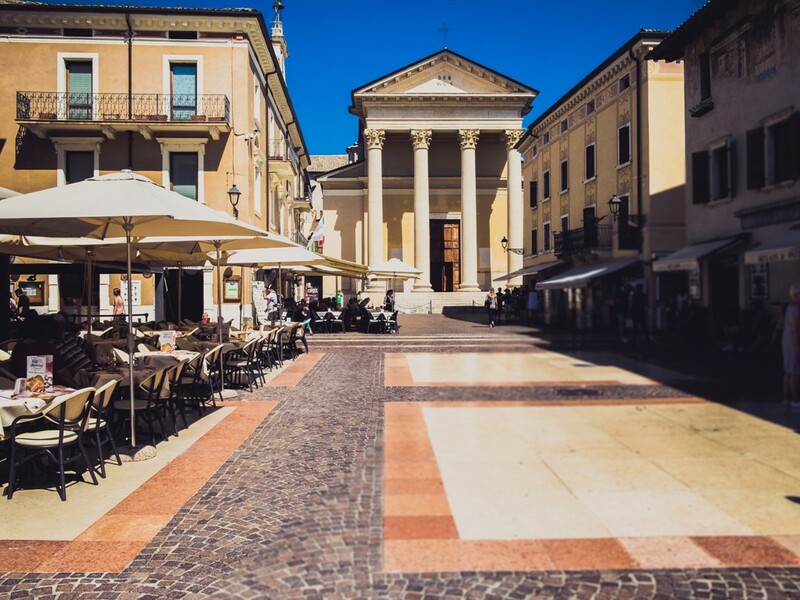 On the edge of the square stands the prominent, neoclassical church of Santi Nicolò e Severo. 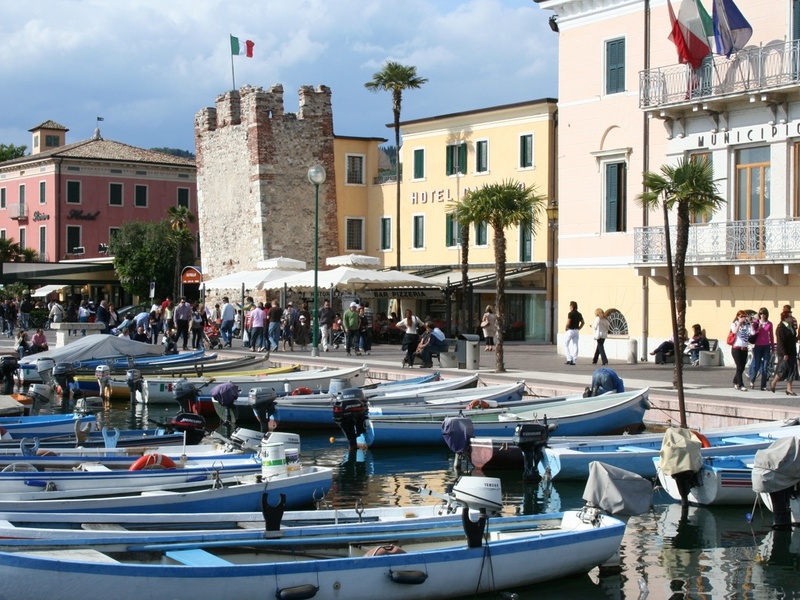 A tower, the last remains of a fortification, can be seen from the promenade and from here you can walk to Garda or Cisano. San Zeno is a church from the Carolingian period approximately 1,200 years old and is located in via San Zeno. It has a cross-shaped layout and an unusually tall, single nave. Inside, there are some unique marble columns with great capitals depicting early medieval attempts to imitate classical forms, as well as a few frescos, remain. The building was recently renovated but is no longer used for worship. San Severo was built in the 11th century, and the church's tall, narrow belfry is among the best preserved Romanesque structures in the area. Consisting of simple stone quarries and has three unsymmetrical aisles. The interior is decorated with beautiful frescoes, and behind the altar, there are the remains of a Lombard crypt. 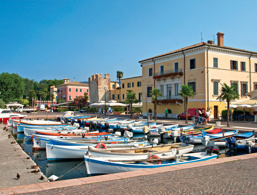 Just outside the centre of Bardolino, there is the winery of an old aristocratic family. 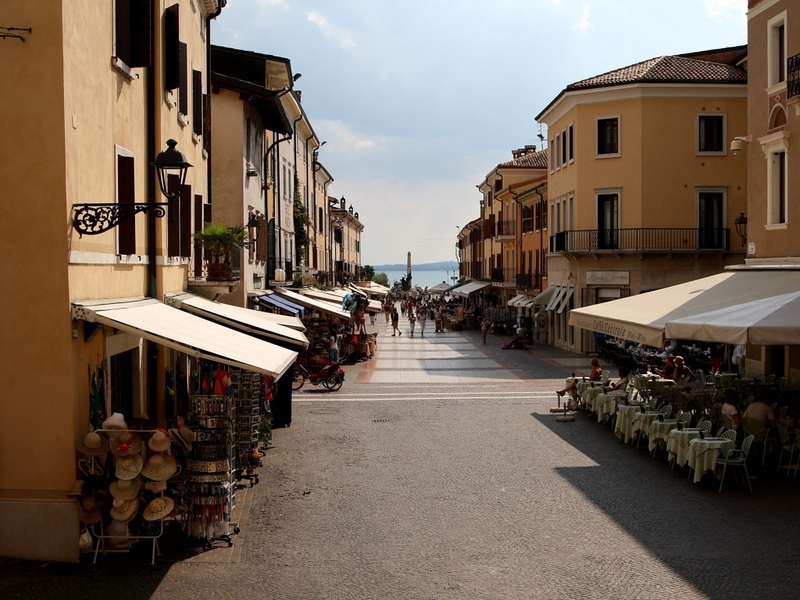 They have their own shop for wines, olive oil, grappa and other homemade products at the southern gate of the city. Guided tours of the gardens and the old winery with wine tasting in the winery museum are also offered by appointment. 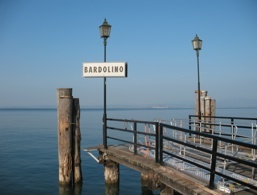 The accommodations at Bardolino were rated 4.2 out of 5 stars by 126 users.